Flight Trampoline Park is a cutting-edge entertainment, fitness and sports facility unlike anything you have ever experienced. The first of its kind, Flight Trampoline Park is the ultimate venue for active social outings, intense individual workouts and memorable birthday parties. 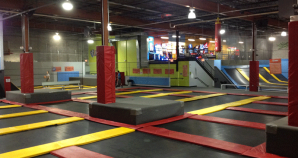 We are the Ultimate Trampoline Park!